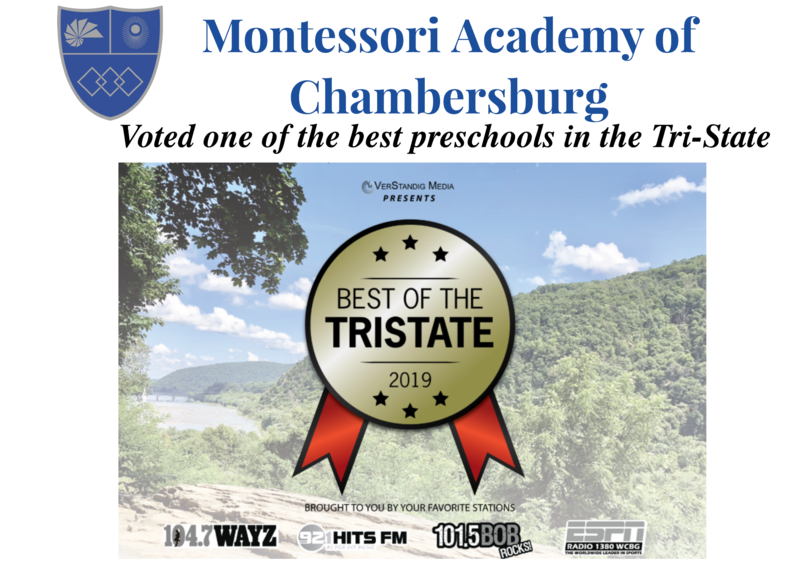 Montessori Academy of Chambersburg serves students from 12 months to 12th grade and provides a safe, caring, stable environment that is child-centered, family oriented and community focused. Children in a Montessori classroom learn by making discoveries with the materials, cultivating concentration, motivation, self-discipline and a love of learning. 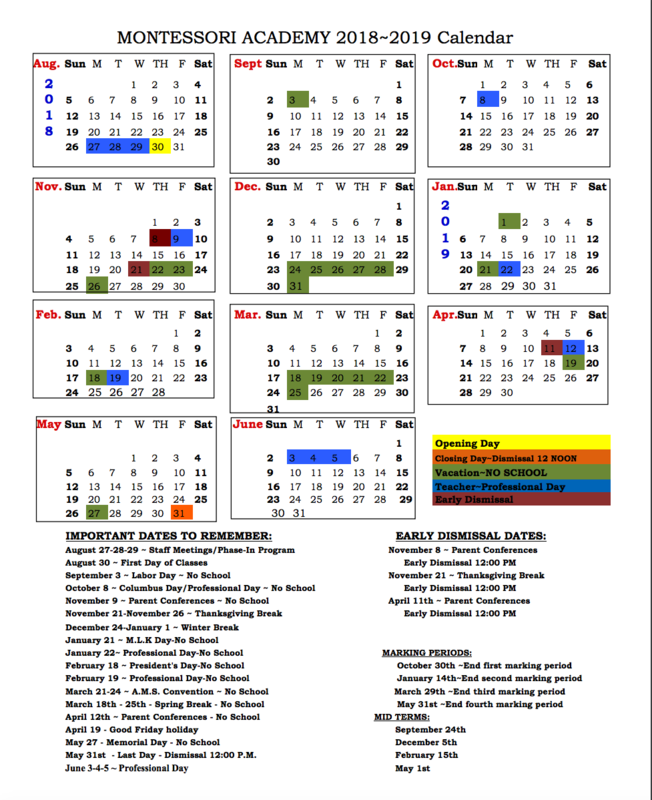 The work and activities designed specifically for the Montessori kindergarten student exemplify the spiral curriculum set forth by Maria Montessori. Students revisit concepts and build upon prior skills to deepen their knowledge and broaden their understanding. CLICK to learn more. Montessori students enjoy an appropriate balance of academics and recreation. Playtime encourages not just fun, but cooperation and a sense of community. The Montessori Academy facility is a 30,000 sq. ft. building on 8 acres of rural land in Chambersburg, Pennsylvania. This state-of-the-art building meets the unique needs of a Montessori educational environment and will accommodate 280 students. Each Montessori environment is tailored to the individual children within it and designed to allow freedom within limits. Activities in the environment promote the development of social skills, emotional growth, and physical coordination as well as academic achievement. Parents and students often bond closely with the other students, teachers, and administration and speak of the Montessori community as family. Now accepting applications for children from 12 months through 8th grade. Visit our Academic Programs for information about our programs and Contact Us to schedule a tour. Our Facebook page is updated regularly with all types of information. It’s a great way to stay in touch with the Academy’s news and alerts.